Lord Krishna is very understandably not regarded as a normal human being, but he is also not regarded as a normal or ordinary God or just another incarnation of God. 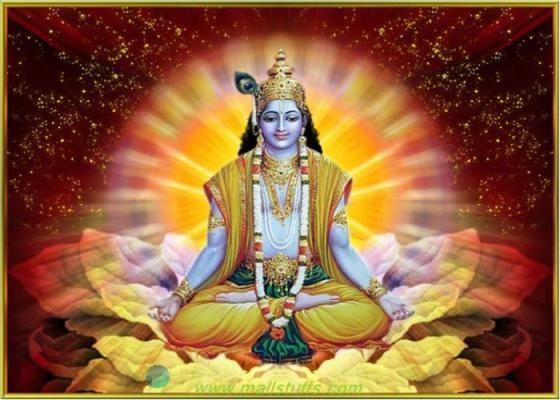 He is considered extraordinary in godliness and as the most complete incarnation of God possible, mythologically speaking. This is another reason why every intellectual inquiry into the rationality or morality of his actions is responded to with a derisive dismissal on grounds of Lord Krishna’s godliness together with the inadequacy of human intellect to comprehend the niceties of divine actions. This might be a good way of nipping pointless arguments in the bud and forestalling destructive criticism meant to provoke rather than understand, but it also keeps the real significance of some of Lord Krishna’s actions shrouded in mystery like some kind of unspeakable secret whereas the truth is that so long as one is prepared to see his actions in the right perspective against the social, political and cultural backdrop of his times, it is not hard to see the rationality, morality and legitimacy of the actions that might appear rather questionable at first encounter. From the Govardhan episode to the epic battle of The Mahabharata , there are countless instances where he appears to have deviated from the laws and principles of his times for reasons justifiable only by a Machiavellian insistence on achieving the objective by all possible means. Lord Krishna not only helped his own sister, Subhadra, elope with Arjuna but was also the one to actually suggest the course in the first place. 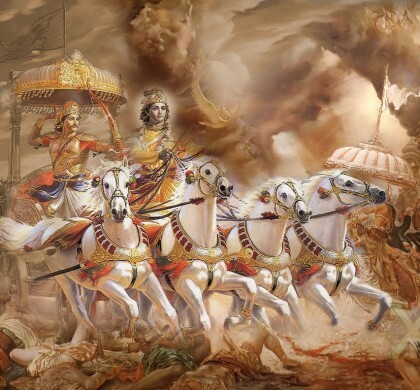 When Arjuna took Subhadra away with the reins of the chariot horses in Subhadra’s hands, Lord Krishna’s elder brother, Baldev and other members of the royal court were extremely infuriated and wanted to pursue Arjuna and even mount a full-fledged attack on Hastinapur, if the need be. Lord Krishna strongly advised against it and managed to convince the court members that it was not in their interest to attack a kingdom as mighty as Hastinapur. Besides, there was no justification for such extreme measure because the reins, he pointed out, were in Subhadra’s own hands indicating her consent. It simply meant that in view of the fact that she was not abducted but went away of her own accord, Arjuna was guilty of no wrong in taking her with him. The point that Lord Krishna underscores is the same that Bhishma made in sending Ambalika to the prince she had chosen as her husband even after having abducted her together with both of her sisters to have them married to the prince of Hastinapur. He had done it in retaliation to the intentional insult on part of the father of the three princesses in not inviting the prince of Hastinapur to the ‘ swayamvar ‘ organized for the princesses to choose their grooms. 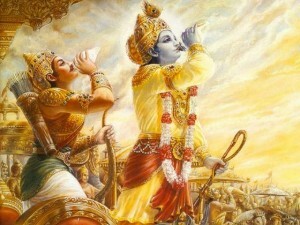 Lord Krishna was actually endorsing the law that Bhishma followed, according to which the right to choose the groom was an inalienable and absolute right of the girl and once she has chosen her groom, nothing and nobody could deny her the right to have the chosen one as her groom except the chosen one himself. 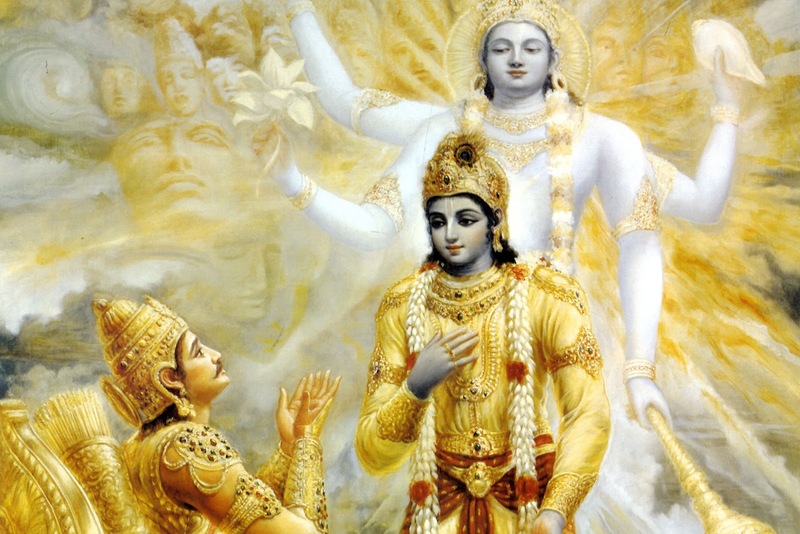 Discoursing on the necessity and nobility of a righteous war for the preservation of Dharma , Lord Krishna tells Arjuna to fight without thinking about the outcome of the war, for it is his duty to fight for the righteousness regardless of the consequences. And every individual must perform his or her duties without any attachment to the gains that might be made and also without the fear of losing what might be lost in the course. The detachment that Lord Krishna so fervently advocates is not just spiritual in nature, but also carries an element of steely incorruptibility, which is so desirable in state functionaries. Whatever is right and just must be allowed irrespective of the magnitude of hardships it might bring on. If state functionaries start thinking of personal dangers and the possible disadvantages that they might face on account of obeying the call of their duties, all hopes for justice would go down the drains in no time. Therefore, performing or abstaining from performing one’s duties in view of the possible consequences is what Lord Krishna counsels Arjuna against because it is the performance of one’s duties that is in one’s hands, and not the consequences of such performance. So, actions must not arise from a consideration of the consequences, but from dutifulness. 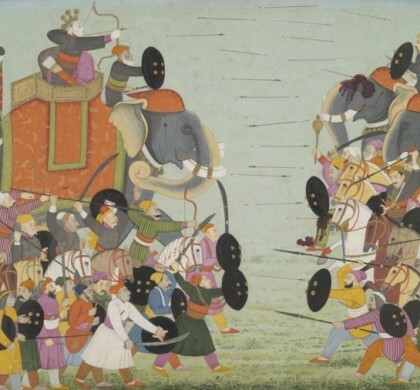 Lord Krishna was not in favour of Pandavas’ going to war with the Kauravas unless the latter made it absolutely necessary by adamantly denying the Pandavas their legitimate share, which they did. But before that, Lord Krishna himself went to the court of the Kauravas as a messenger of peace to forge a peaceful settlement. Lord Krishna was ready to let go of the entire share of the Pandavas in exchange of just five villages. 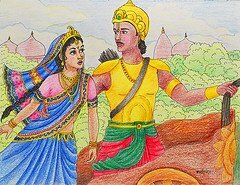 But Duryodhana turned the request down without a moment’s delay and he not just refused but also declared that he was not about to give away even as much land as a needle’s tip. Also, he made the mistake of ordering the arrest of Lord Krishna against the established tradition of never harming a royal messenger in any way. Of course, Lord Krishna could not be arrested and walked out of the court unharmed. The injustice was complete and there was no way the war could be averted. The underlying principle is that war must always be the last resort. 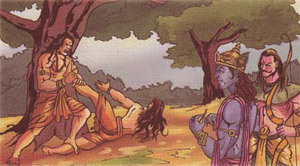 In the case of The Mahabharata what is extraordinary is that Lord Krishna was not inclined to avenge the dishonour of Draupadi by war and when the point was brought up with him, he stated in very certain terms that revenge alone was not a reason good enough to put at stake the lives of so many warriors and the well-being of the masses. From the angle of political pragmatism, Lord Krishna did not want to initiate an unjust war because he knew it fully well that the war was to cost both the parties a good number of excellent warriors with a lot of bloodshed leaving the kingdom weaker. But, at the same time, he was also aware that leaving the kingdom and the masses to unjust kings and princes would eventually engender popular dissatisfaction, which might culminate in a revolt or might be used by another king as a valid justification to attack Hastinapur. It was, therefore, not a selfish war for vengeance or to take what was rightfully Pandavas’, but was a truly righteous battle to establish the rule of Dharma. Originally published as part of THINKERS AND THEORY series in LAWYERS UPDATE in January 2014. 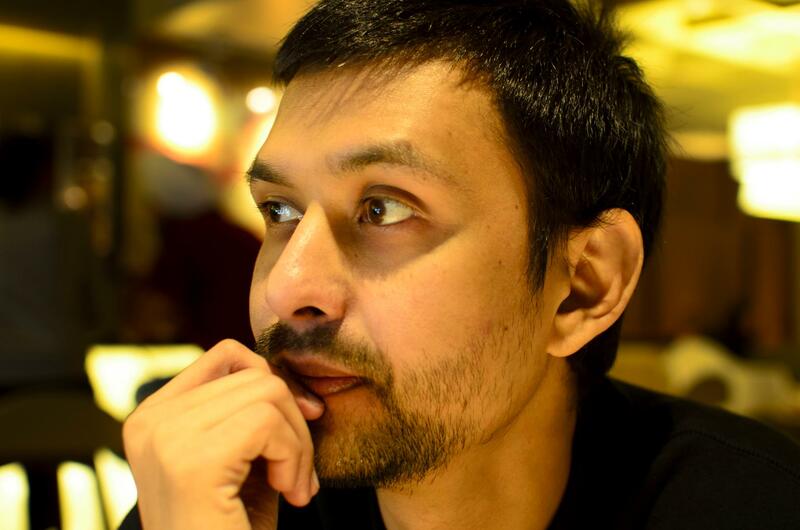 It is yet another wonderful article on mythology which logically explains many things that people remain quiet about either because they are taught not to question them or due to religious reasons.